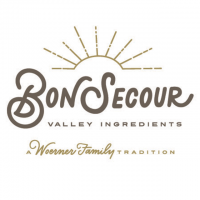 With a multi-generational family farming legacy, the Woerner Family has been providing high quality agricultural products for decades, and we are very excited to direct our commitment to quality and innovation to our newest division, a fruit and vegetable dehydration facility, Bon Secour Valley Ingredients BSVI. Our family has long held a commitment to promoting sustainable farming practices and BSVI is a part of this legacy, producing high-quality dehydrated prepared foods and ingredients that are all-natural, nutritious and require no refrigeration. BSVI boasts a 40,000 sq. ft. facility and is fully certified and equipped to provide custom-prepared ingredients and food items to customers worldwide. Our current line of products includes sweet potatoes, kale, chicory, carrots, squash, and pumpkin in a variety of preparations ranging from fine powders to diced and specialty cuts.